Phoenix police say the suspect assaulted an employee before taking off with food without paying. 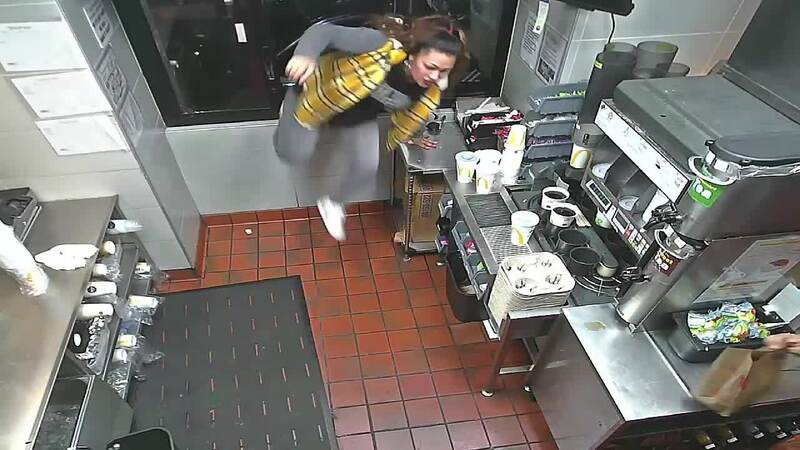 PHOENIX — Police are looking for a suspect who climbed into a fast food restaurant through its drive through window, attacking a clerk and running off with food. Silent Witness says the incident happened at the McDonald's at 51st Avenue and McDowell on March 3rd. Phoenix police say the suspect climbed in through the drive through window around 2:30 a.m. Once inside, the suspect assaulted a clerk, grabbed some food and left without paying. Police describe the suspect as a Hispanic woman between 25 and 35 years old, about 5 feet 4 inches tall and 160 pounds, with brown hair and eyes. She was wearing a yellow and gray jacket and gray pants at the time, police said. Anyone with information is asked to contact Silent Witness at 480-WITNESS or 480-TESTIGO. Those who provide information that leads to an arrest may be eligible for a reward of up to $1,000.